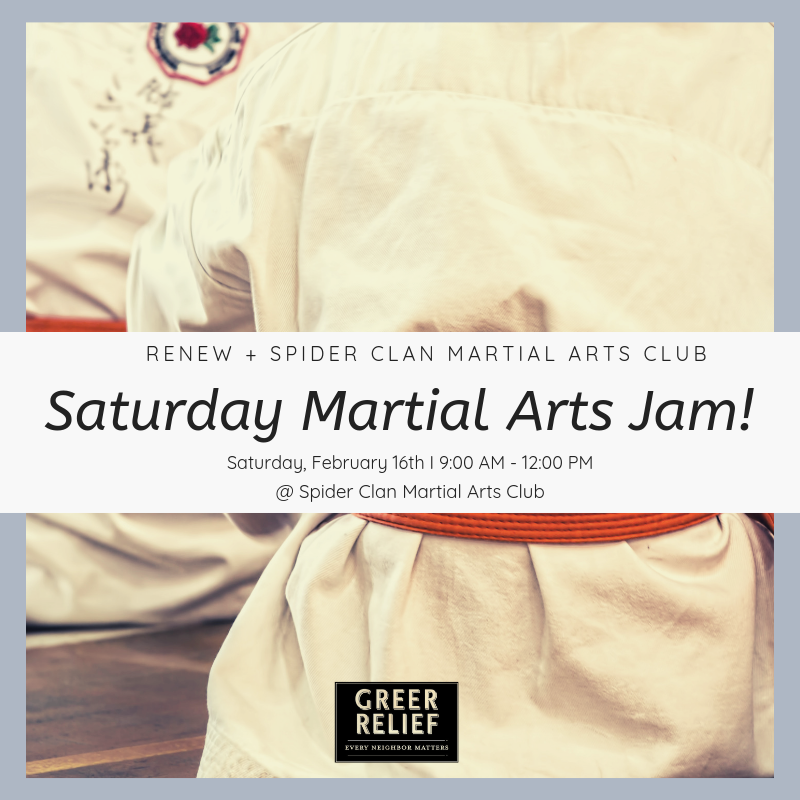 RENEW Saturday Morning Martial Arts Jam! 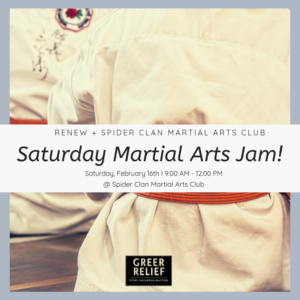 Home event RENEW Saturday Morning Martial Arts Jam! oin the Spider Clan Marital Arts Club for a Saturday Morning Martial Arts Jam! This karate class is for children ages 4 – 11. This class will be taught on February 16th from 9:00 AM – 12:00 PM at the Spider Clan Martial Arts Club. Only participants 18 and up are eligible to receive RENEW Rewards. This class is FREE for RENEW Neighbors, just mention Greer Relief at the registration. Register here.